Professor Tamara Hervey, professor of EU law, explains why in her view, there is nothing about Brexit that is good for health. I’ve been researching and teaching EU law for over 25 years. About 20 years ago, I became interested in all aspects of how EU law affects health law. From my point of view – the legal, big picture – there is nothing good for health about Brexit. Things are particularly bad because of the type of Brexit that this government wants us to have: a Brexit that takes us outside of the single market; that hopes for a future relationship with the EU that is less than the one the EU has with Norway, Morocco or Tunisia. This could easily be a ‘cliff edge’ or ‘plane crash’ Brexit, where no mutually acceptable UK-EU agreement is reached within the two years of Article 50 being triggered (by March 2019). Bear in mind it takes time to negotiate a trade agreement (the EU-Canada one took seven years) and, at the same time, our government has to negotiate the exit agreement too. The biggest threat to health really comes from the threats to the economy from even an orderly Brexit, and the significant threat to public spending that comes from Theresa May’s ‘Plan B’ if she does not get a deal. That plan is for the UK to become a low tax, low investment in public services, low regulatory standards economy. Even on Plan A, we will not have as good a trade deal as EU membership offers our nearest geographical neighbours, and we will not easily create trade deals with the 124 countries that currently have or are negotiating trade deals with the EU. If you want to be a tax haven you would have to have some fairly big discussions with the public about how you are going to fund areas like health and the National Health Service. Plus, because of the way EU law is structured (and the way we suspect the negotiations will be structured), health isn’t around the table when health topics are being negotiated. In EU law, health is thought of as being about trade, or movement of people, or employment rights, or competition policy, and so on. There is barely an area of health or social care services provision entirely untouched by EU law. EU law protects the rights of NHS and social care staff from other EU countries. Their qualifications must be recognised; they can come here and work with minimum administrative fuss; they can bring their families (children, elderly relatives); they are secure that their pensions will follow them if they go home. Around 5 per cent of English NHS staff are from other EU nations. Over 30,000 doctors from the EEA are currently registered with the General Medical Council to practise medicine in the UK. In Northern Ireland, where many health professionals studied in the Republic of Ireland, a person’s qualification is currently automatically recognised in UK law. After Brexit, none of that will be guaranteed, and the government has yet to secure the position of those who are already here. In the future, the UK could introduce a points system into its immigration law to encourage the staff we need. However, a study of the immigration law changes in 2010 shows that this has gradually slowed down the flow of labour into the NHS. Virtually all the evidence to the House of Commons Health Committee’s Inquiry into Brexit and health and social care raises concerns about staffing. Close scrutiny of current and future migrant workers is needed, particularly in areas where shortages cannot be plugged from the domestic labour market. EU law sets minimum standards for working time rules, which mean medical professionals and social carers cannot lawfully be forced to work without proper rest periods, paid holidays, and so on. These have been tricky for the UK, and we used the opt-out and transitional rules of EU law to the maximum when they were brought in. After Brexit there will be no EU employment laws to curb our government from setting whatever standards it wishes. We will need to ensure that changes to employment laws continue to protect patients from the risks of being treated by an exhausted professional. The EU regulates the safety of all pharmaceuticals marketed in the EU via the European Medicines Agency. Currently, pharmaceuticals with an authorisation from the EMA can be marketed anywhere in the EU. However, if the UK’s future relationship with the EU does not include that regulatory system (and it looks as if it will not), access to the UK market will be subject to an additional regulatory process. Faced with a choice of access to a market of patients across the whole of the EU, or limited to the UK, pharma companies will act rationally and choose the EU, or at least the EU first. We will come later, with New Zealand or Canada. What’s more, a new EU-wide clinical trials system gives single approval for clinical trials anywhere in the EU, so extra vigilance will be required to ensure safe pharmaceuticals are still available in the UK, possibly at additional cost. Our clinicians and biomedical researchers have access to EU networks of collaborators, and EU data-sets, tissue banks and so on. Access to data that can be compared with EU data has, for instance, revealed discrepancies with our cancer outcomes that then changed protocols. Our life sciences researchers can also access significant amounts of EU research funding. All of this will need to be replaced. In the public health domain, EU rules on wide-ranging matters – road infrastructure and transport safety, food and product safety, air and water quality, workplace health and safety and tobacco regulation – have had tangible effects on EU population health. After Brexit, we will have to make sure that these standards remain attentive to health. So are there any upsides for health associated with Brexit? No. My considered view is that any so-called ‘opportunities’ are either based on misunderstandings of what EU law requires or are merely theoretical opportunities, subject to political arrangements and support which are not guaranteed. For instance, EU competition law, designed to ensure a fair playing field for economic actors, will no longer apply to the NHS. But any opportunity to improve health or social care from this is at best overstated. Those EU rules are interpreted in ways which respect national decisions about how national health systems are organised. They don’t force our government to introduce competition in the NHS. There’s nothing per se to guarantee that future trade agreements that the UK secures won’t open up the NHS markets to non-UK providers, whereas the EU had secured such an opt-out for health services for (the now defunct) TTIP. After Brexit, there needs to be a serious discussion about what strategic decisions should be made for procurement laws in health, based on where we are self-sufficient, and where we are not. Clinical services are one thing; medical equipment, devices, supplies are quite another. In the latter case, our health institutions currently source many supplies from EU-based companies, and procurement laws need to support that if we are to get good deals. In theory, we can take the opportunity of Brexit to have a national debate about what standards, laws and regulations will be best for health in the UK. But health is related to medical science, an international discipline. Wouldn’t we therefore want to have those discussions at least in the light of – if not with – other countries that are facing similar economic, demographic and clinical challenges within their health systems, with similar values to our own? There’s no point in looking to the USA for those. Hence, my considered opinion remains: Brexit is bad for health. Under the government’s ‘Plan A’ we are unlikely to be first in line for new products or technologies, and we may struggle to retain or recruit staff, especially in social care. ‘Plan B’ is even more troubling: what will health and social care in the UK look like in the low tax, low investment in public services, low regulatory standards economy? 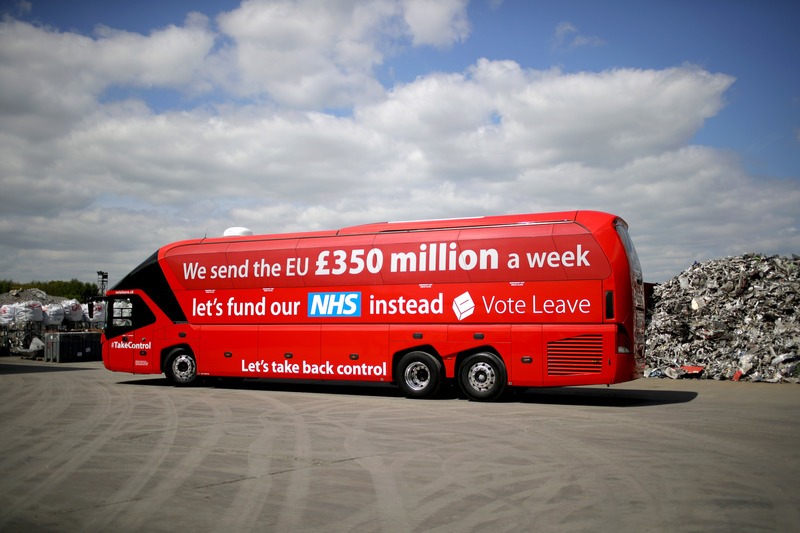 But just as that bus was critical in the Leave campaign, so can health be critical in the national debate that informs decisions our government takes in the process of leaving. Now is the time to start salvaging from the wreckage (for the short term), and build a new settlement (for the longer term).